Minister of Information, Alhaji Lai Mohammed has reacted following the suspension of the Chief Justice of Nigeria, Walter Onnoghen by President Muhammadu Buhari. Mohammed, in a media chat on Saturday, explained that from reading the President’s statement on the suspension yesterday, Certain things were clear adding that the Chief Justice failed to declare ‘millions of dollars in his possession’. 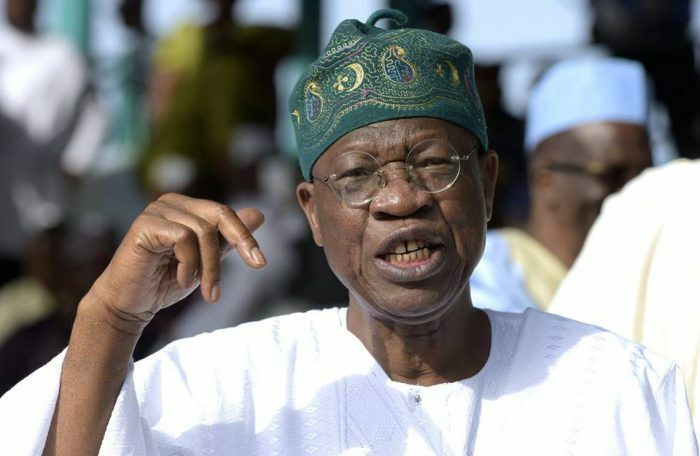 The post Watch Lai Mohammed’s Reaction To CJN Onnoghen’s Suspension appeared first on Naijaloaded | Nigeria’s Most Visited Music & Entertainment Website.